… I recently found this advertisement from around 1978 while sorting through the contents of my filing cabinet. It may have been the first PC related scam. This flyer was sent to every PC retailer in the country. 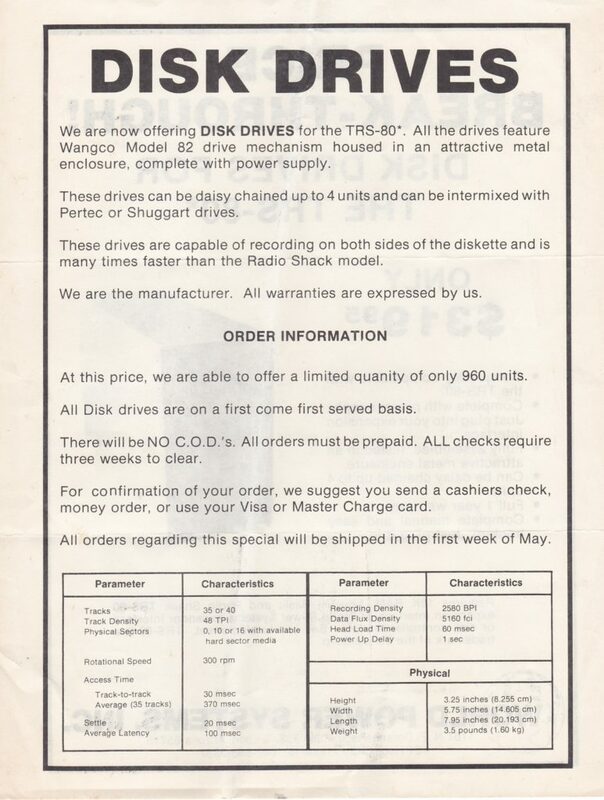 Not one diskette drive was ever shipped. 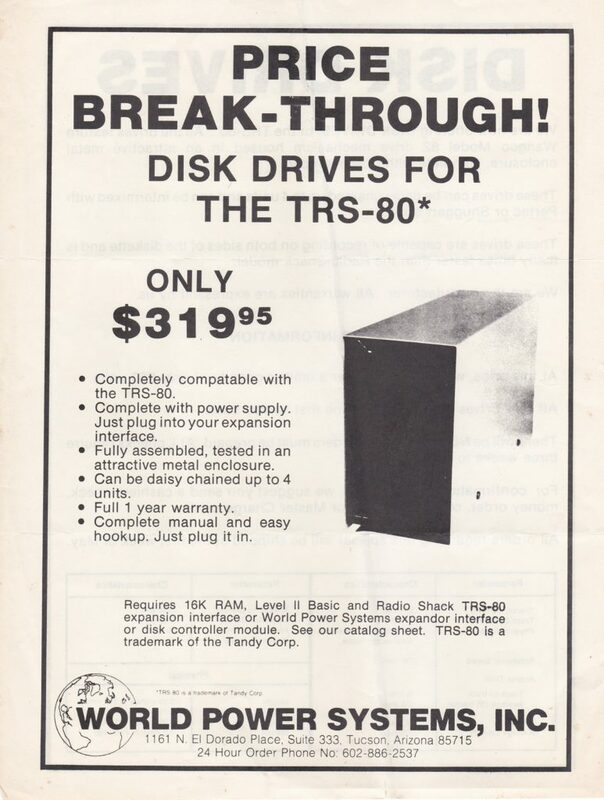 If you could find one, a single sided TRS-80 drive was more than double this price, required the purchase of the expansion interface, and was somewhat unreliable. The data capacity of a double sided 5.25 in diskette was 256,000 characters. “Never trust a company with the word ‘World’ in it’s name” is one of the Rules For Life I developed from that long ago episode in my past. I have no idea how I managed to hold on to this scrap of paper for so long!